Water in your basement? Get 24-hour emergency support! Call 804-818-4015 today! Cracked, settling and sagging foundations are all common problems that all homeowners hope to avoid. However, that will not be the case for everyone, which is why we are here to help. 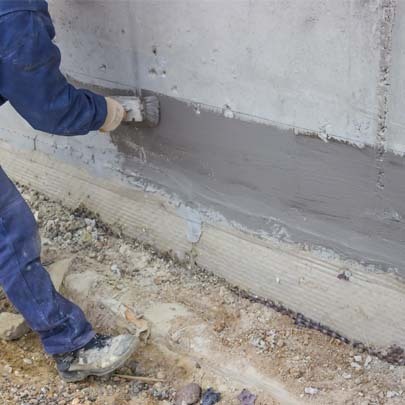 Virginia Basement is equipped to handle any foundation problem big or small, and the sooner you get structural issues fixed, the better off your home will be. When our technicians come to your home for an inspection, we will thoroughly investigate your foundation to discover all problems. We will inspect your home’s foundation and surrounding structures to identify the problem areas and give you an estimate. Depending on your needs, landscaping around the home and interior carpeting or flooring may have to be cleared away so we can access your foundation. We will repair cracks, sinking or any other foundation problems discovered during the inspection to return your home back to a stable condition. Once your foundation is repaired, we will always clean away any equipment and debris, replace any landscaping that was removed, and return your flooring and carpeting back to their original positions. The end result will be a dry, stable, and even foundation, allowing you to rest easy knowing you have a sturdy home for years to come. Our friendly, experienced professionals completely understand the value of your home and how much it’s great condition means to you. That’s one of the reasons that they’re so dedicated to delivering the top-quality, long-lasting basement waterproofing solutions you can really rely on. Friendly, hardworking and experienced professionals. Top quality, diligent services you can count on. Outstanding customer service you’re sure to love. We provide basement waterproofing in Richmond, Virginia as well as Midlothian, Fredericksburg, Charlottesville, Williamsburg, and Ashland. If you have a cracked or damaged foundation, call 804-818-4015 today!